On Windows 7, you can allow users to run only specific applications such as Microsoft Office applications, browser and etc. 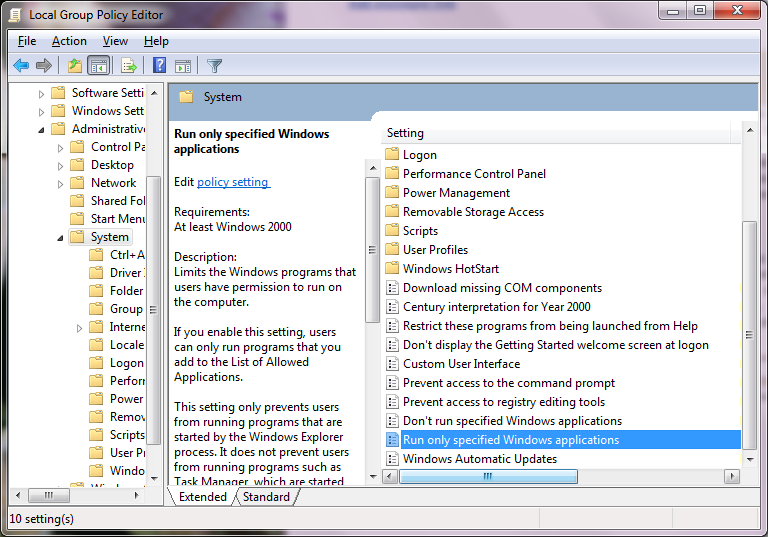 Windows has a built-in Local Group Policy Editor where you can create the whitelist for these safe applications. 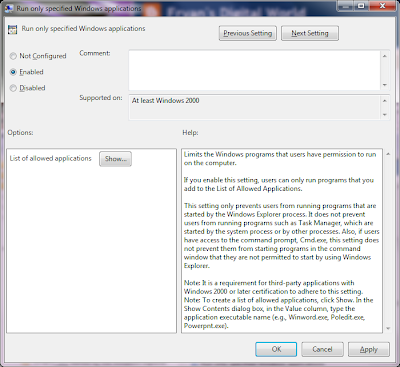 Here is a step-by-step guide to set Windows 7 to run only specified applications. 1. Click Start and enter "gpedit.msc" into the search box and hit Enter. 2. From the Group Policy Editor, Browse to User Configuration>Administrative Templates>System. 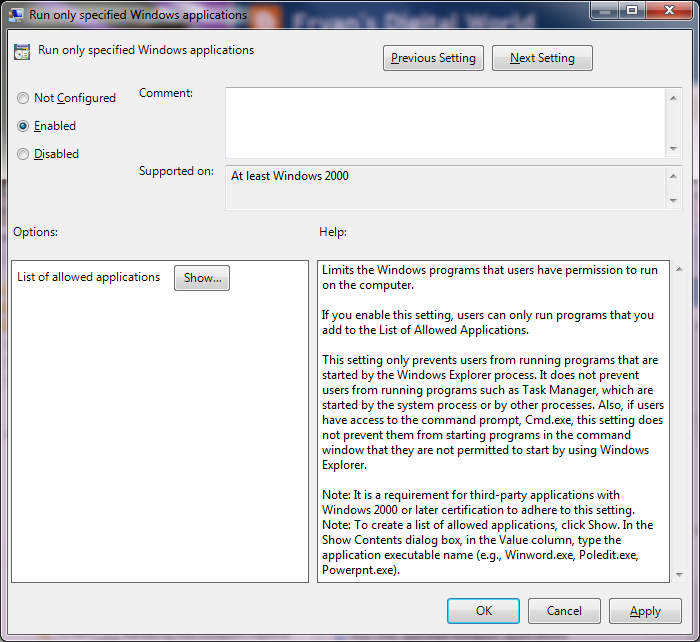 Then under Setting (right pane) scroll down and double click on "Run only specified Windows applications" as shown below. 3. 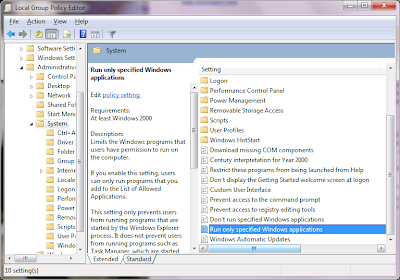 Choose the Enabled option from the Policy dialog box then under the Options section click on the Show button. 4. 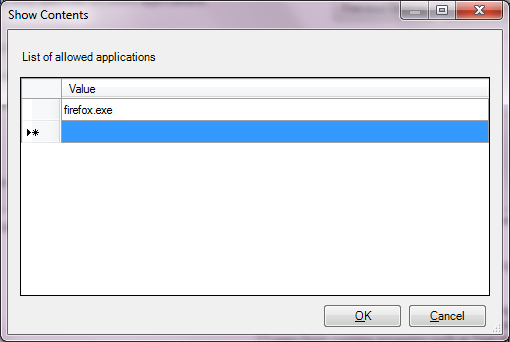 On the Popup Show Contents dialog, type the exe name of the apps you want to allow users to run. Hit OK then close out of Local Group Policy Editor. Everytime a user try to run an app not on the whitelist, Windows will blocked the app and will prompt for an error message.